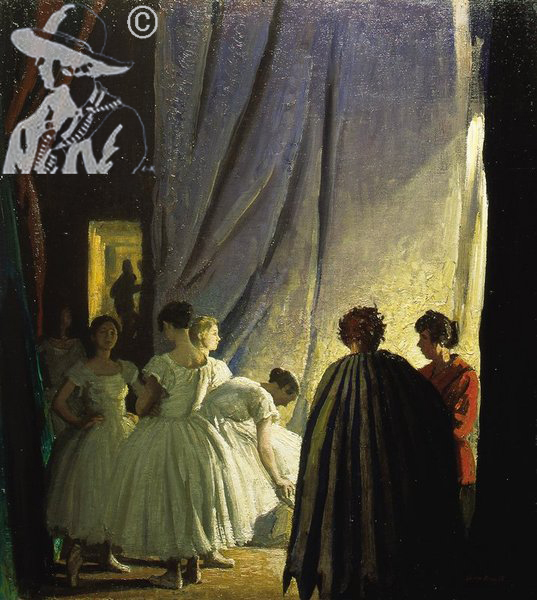 Scene depicting in a rehearsal in the wings probably at the Alhambra Theatre, London. Here the artist depicts a rare insight into the practicalities of performance with the Dancers in the costume for Les Sylphides and The Three Cornered Hat. backstage, showing the dresser depicted in red on the right, ready and on hand for any last minute adjustments to the costumes.